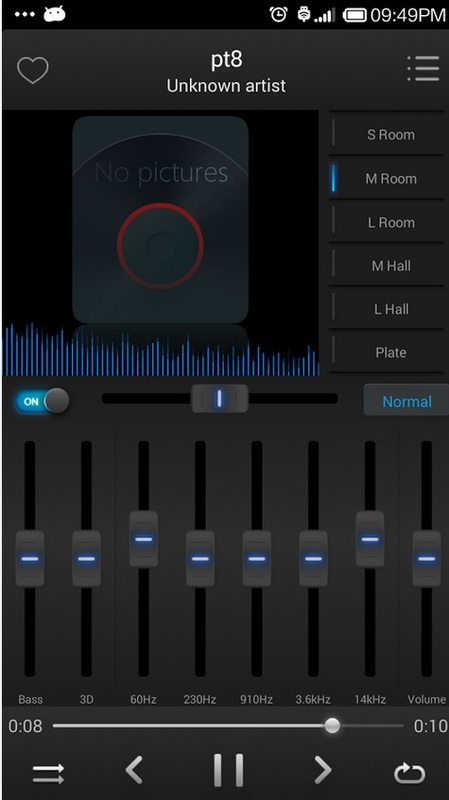 Free download Equalizer Music Player APK file for android. Equalizer Music player is a music and video player which with equalizer and visualizer. Improve sound quality on your Android device. SHAKE IT feature:give your phone a shake to play next song. Lock Screen CONTROLS support: display time, day, title and artist, play/pause, next, previous, unlock CONTROLS in lock screen. 17 types of equalizer presets for your choice (Normal, Classic, Dance, Flat, Folk, Heavy, Hip hop, Jazz, Pop, Rock, R&B, Latin, Acoustic, Piano, Electronic, Vocal Booster, Deep). Or you can manually adjust the equalizer.